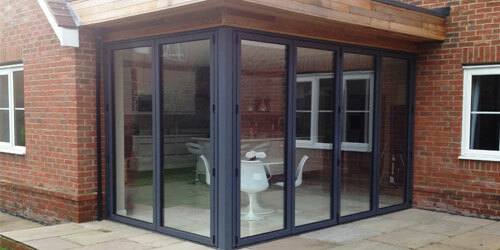 commercial and residential projects, specialising in bi-folding doors. 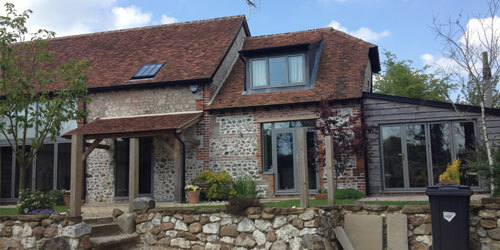 Aluminium Manufacturing Ltd is a family run business based in Oxfordshire. We are an approved manufacturer of the Smart Systems Aluminium product range and offer a bespoke service to cater to each individual customer. We carry out both commercial and residential projects on any scale and are happy to offer either our supply only service or our regional wide surveying and installation service. We produce a range of doors suitable for the architectural, commercial, public, new build and retail markets. The doors we offer range from hinged doors, sliding doors to bi-folding doors and many more. 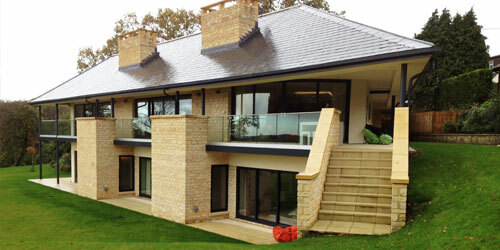 Like our aluminium doors we produce a whole range of windows for any purpose. Innovative designs available in a whole palate of colours make for a sleek and modern look in any project. The curtain wall systems we provide are designed to create a dramatic but practical frontage to any project, with the option of sloped and facet-shaped glazing whilst allowing maximum light.